While QLD Poetry Festival prides itself on keeping the majority of the festival free and accessible to all comers, there are three hot tickets on sale right now. Poetry is a living artform – one that adapts, adjusts, can be renovated, extrapolated. Canadian poet Sachiko Murakami has been doing just that with her online collaborative sites Project Rebuild and Henko. Join Sachiko for a three-hour demonstrative workshop that explores in greater depth the various forms of poetry unbound – collaborative poetry, constructed poetry, found poetry, interactive poetry. Poetry is an engagement of the senses, triggering the imagination into seeing the world anew. Join widely published and acclaimed poet Anthony Lawrence for this masterclass designed to flex your poetic muscles. Over the course of three hours you will engage in close readings of great poems, explore a series of practical exercises designed to spark new thought processes, and have your first-draft collectively workshopped by the group. Come away with a finished poem and some new spells of the trade to refine your poetic eye. Shane Rhodes, the 2013 Arts Queensland Poet in Residence. He is the author of five collections of poetry, including The Wireless Room, Holding Pattern, The Bindery, and most recently, Err. His poetry has numerous awards, and has been featured in national and international anthologies. Shane is the poetry editor for Arc, Canada’s only national poetry magazine. Jacqueline Turner back for her third visit to QPF! 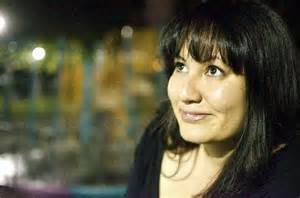 She has published four books of poetry with ECW Press: The Ends of the Earth (2013), Seven into Even (2006), Careful (2003), and Into the Fold (2000). She reviews for the Georgia Straight and lectures at Emily Carr University of Art + Design. 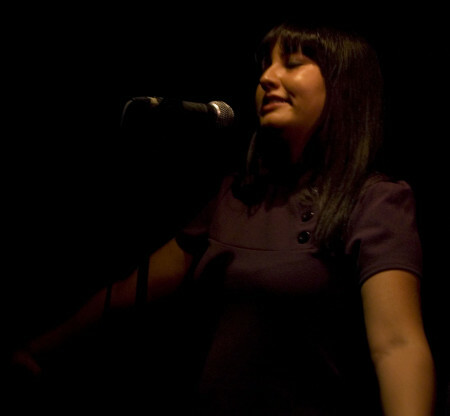 She was the inaugural Arts Queensland Poet In Residence. Bertie Blackman whose latest album, Pope Innocent X, has been described as adventurous, thrilling, and undeniably unique. The long-awaited follow-up to 2009’s Secrets and Lies, Pope Innocent X is 11 tracks of visual, evocative storytelling. It’s a mix all Blackman’s own, as she forges into brand new musical territory yet again, with stunning results. Want to be part of QLD Poetry Festival 2013? This year has flown by, but QPF 2012 is still a warm glow in my head and heart. So if you want to be involved in the finest poetry festival in this country, here’s what you have to do! 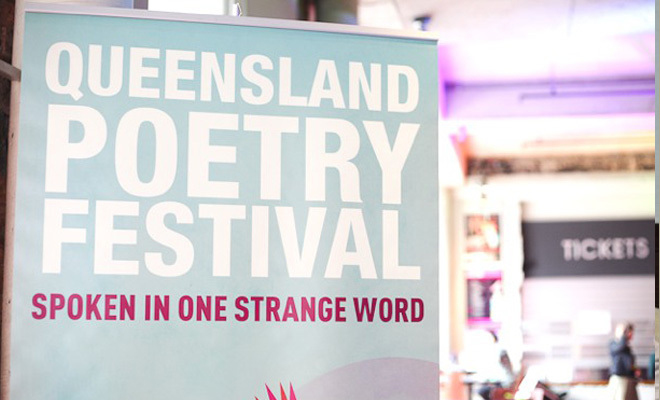 Queensland Poetry Festival is currently inviting proposals from poets, spoken word artists, and performers interested in being part of the 17th annual festival, spoken in one strange word. QPF looks forward to hearing from individuals and groups interested in performing at the three-day festival ‘spoken in one strange word‘. We are looking for submissions that embrace the wide possibilities of poetic expression – page poetry, readings, slam, spoken word, performance, music, ekphrastic poetry, collaborations, installations, cross-platform creations, and more. While all projects must have a relationship to poetic language, we encourage submissions from artists wishing to explore the relationship between poetry and other art forms. 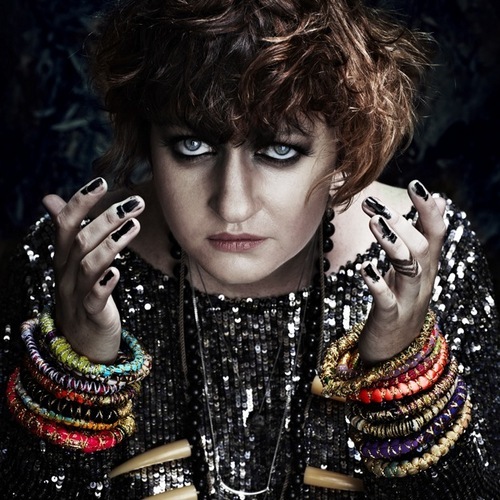 QPF 2013 runs from 23 – 25 August at the Judith Wright Centre of Contemporary Arts in Fortitude Valley, Brisbane. If you have any questions, feel free to contact Festival Director, Sarah Gory: sarah.qldpoetry[at]gmail.com. 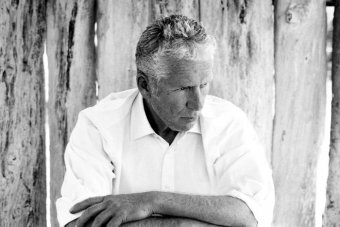 The official opening is followed by festival showcase, Tongues of Flame featuring one of Australia’s true poetry superstars, a man who has made the Hawkesbury sing like no other, Robert Adamson; the politically charged, jazz poetry of L.E. Scott and the sonic art of 2012 Arts QLD Poet-in-Residence a.rawlings. To close the night renowned Australian singer-songwriter, Holly Throsby will play an intimate set… and you know, a lineup this good just might change your universe! Here’s a hit of Robert Adamson and Holly Throsby to brighten your day… Tickets you ask, well you can buy them here! Australia’s premiere celebration of all things poetic, Queensland Poetry Festival, invites proposals from poets, performers and artists interested in being part of the 16th annual festival. QPF is not a director-led festival; rather it is programmed each year by a group of Brisbane poets through an open Expression of Interest process. In that spirit, QPF is inviting Expressions of Interest from poets, musicians, performers, and spoken word artists interested in being a part of the 16th annual three-day festival, spoken in one strange word 2012. Be it a reading, a project, a performance, or perhaps something that embraces myriad art forms, bring it on! They are open to all forms of poetic expression and want to know what you’ve been cooking. 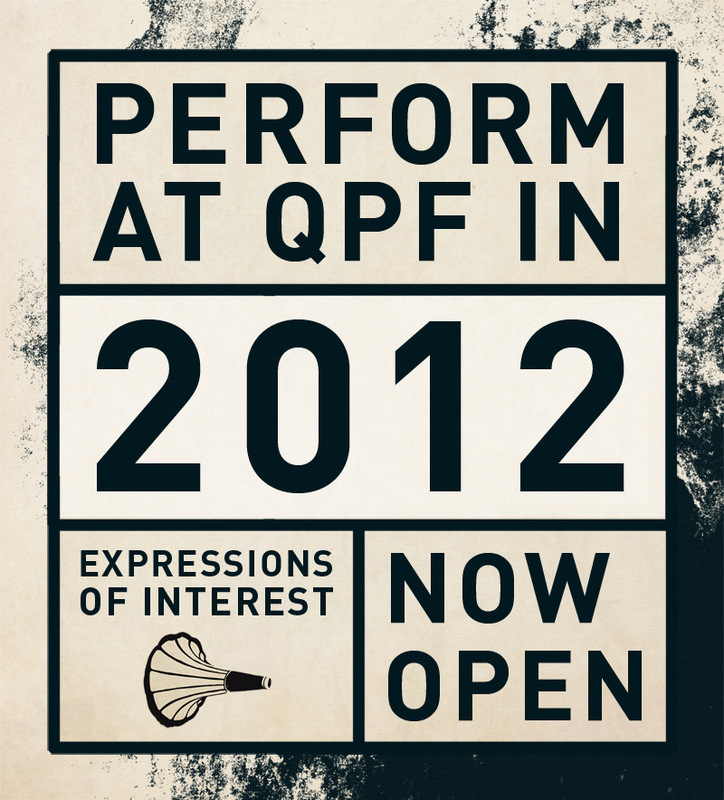 If you are programmed to perform at QPF 2012, flights, accommodation and performance fees will be provided. Submission deadline: Wednesday 22nd February, 2012. QPF 2012 runs from 24 – 26 August at the state-of-the-art, Judith Wright Centre of Contemporary Arts in Fortitude Valley, Brisbane. For further details, submission forms and guidelines, visit the QPF website at www.queenslandpoetryfestival.com, or contact them at qldpoetry@gmail.com with any questions. The announcement of the Arts QLD Poet-in-Residence (PIR) is always an exciting one. The selected poet is given the opportunity to reside in our state for up to 3months (July – September) to write, engage with the local and regional poetry community and perform at both QLD Poetry Festival and Brisbane Writers Festival. Past PIR’s include Jacqueline Turner (Canada), Paul Durcan (Ireland), Michael Hoffman (UK), Hinemoana Baker (NZ) and Emily XYZ (USA). Each poet has brought something unique to their residency, and many continue to have a lasting impact on the state of poetry in QLD. 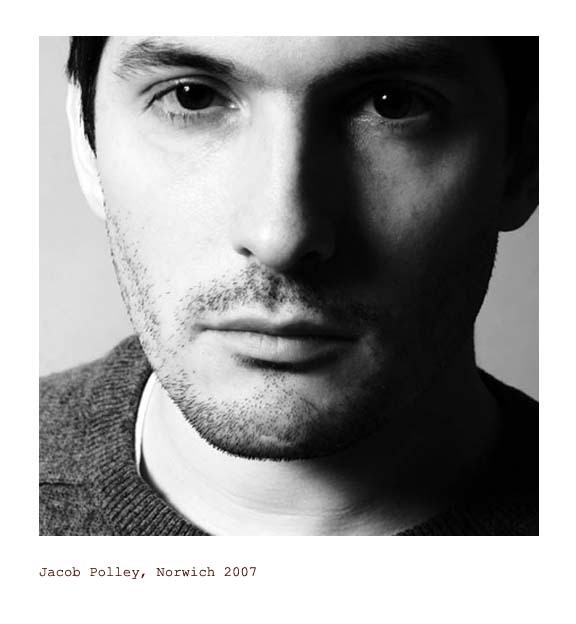 So I was thrilled when I read the announcement that UK poet, Jacob Polley had been selected as the 2011 Arts QLD Poet-in-Residence. I am a great admirer of Jacob’s work and am really looking forward to seeing what he brings to the residency. Measured, musical and understated. The kind of poetry that imbues the everyday, the tarnished and burnished, with the possibilities of the transcendent. Jacob has also collaborated with filmmaker Ian Fenton and has worked extensively with disadvantaged youth. You can read and listen to a great selection of Jacob’s work at the Poetry Archive and I can also recommend watching the film (for which he wrote the screenplay), Flickerman and the Ivory-Skinned Woman. There is also a great selection of Jacob’s work at his own website www.jacobpolley.com and the QLD Poetry Festival website will be the best place to keep up to date with Jacob’s residency. I am looking forward to July already. QLD Poetry Festival is without doubt, the finest festival of its type in this country and is renowned worldwide, as one of the hottest events on the global poetry calendar. So if you want to mix it up on this worldclass stage with some of this country’s and the world’s finest, head on over to the QLD Poetry Festival website, download an Expression of Interest form and set yourself to work. Expressions of Interest must be received by Thursday February 24. Tagged as Another Lost Shark, Australian Poetry Festivals, Expressions of Interest now open for QPF 2011, Expressuions of Interest now open for QLD Poetry Festival, Graham Nunn, How to apply for QLD Poetry Festival, poetry festivals, Poetry Festivals in Australia, QLD Poetry Festival, QLD Poetry Festival 2011, QPF, QPF 2011, Want to perform at QLD Poetry Festival 2011?, Want to perform at QPF 2011?